I’m rooting for the Koch brothers to buy the L.A. Times. For the record, I am no fan of Charles and David Koch, the billionaire brothers who own various polluting companies and have spent shockingly large amounts of money in very secretive ways on behalf of libertarian and conservative causes. And I love the Times, which is not only my hometown paper but also a member of my family. My mother worked there for 25 years (as an Asia correspondent, she once had to handle getting publisher Otis Chandler’s hunting guns back to L.A. from the Hong Kong airport), and I was a reporter there for eight years. But the company that owns the Times is putting its newspaper division up for sale, and the Kochs reportedly want to buy it. In California, where the Devil may be more popular than the Kochs, this has driven some people crazy. Former colleagues are talking about quitting. Liberal readers are talking boycott. And the Courage Campaign, a progressive network, has demanded that CalPERS, the state pension fund, stop working with the financial firms that control the Times—Oaktree Capital Management and JP Morgan Chase—if they sell to the Kochs. This anti-Koch anger is understandable—but it’s also an argument in favor of the Kochs buying the Times. To be vital, papers must do more than serve a community; they must engage it. Papers should have public faces and publish things that the public loves—or loves to hate. Unfortunately, most American newspapers today are owned by little-known rich people or faceless corporations, and it’s rare that papers do things that people love or hate. The L.A. Times, while still among the best in the country, suffers from this same malady: It’s unthreatening and predictable. Enter the Kochs. Simply by expressing interest in buying the Times, the billionaire brothers have made the paper a topic of conversation and community concern in a way that the paper’s own content can’t match. If just the possibility of Koch ownership has prompted so much talk about how to protect the paper as a community enterprise, just imagine if the Kochs actually bought it. If you doubt that that a polarizing owner can be good for California, let me urge you to visit a certain coastal castle in San Simeon. William Randolph Hearst, who I’m quite sure would endorse the idea of a Koch-owned L.A. Times, once wisely said, “Whatever begins to be tranquil is gobbled up by something not tranquil.” The tranquil Times could stand to be gobbled up by something non-tranquil. And that something wouldn’t be Rupert Murdoch’s News Corp. (which inspires comparatively less vitriol than the Kochs), the new owners of the Orange County Register (very capable, but too little-known to move the needle), or the usual gang of L.A.’s second-rate plutocrats, who have been talking for two decades about giving L.A. a better paper but never get around to doing it. Indeed, you could make the case that the Kochs would be the best owners the Times has ever had. The Chandler family, with the important exceptions of Otis and his mother Buffy, was more right-wing, and far less public-spirited, than the Kochs. The Tribune Company, which came next, presided over a decimation of the paper. Sam Zell, the most recent owner, piled up so much debt in buying the Tribune that his purchase effectively bankrupted the company. The Kochs, for all their sins, are by all accounts philanthropic, skilled as businessmen, and rich enough (each has a net worth of over $30 billion) to invest in the paper. 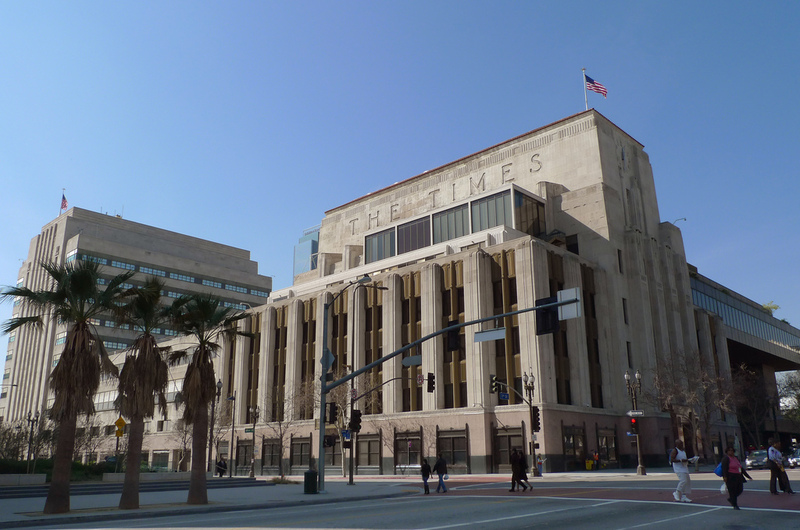 I believe that Koch ownership of the Times would have two possible outcomes—both of them good for Los Angeles. The first and more likely outcome would be that the brothers were unable to change the newspaper as much as they would like (or Angelenos fear). These days, newspaper owners matter much less than they once did; economic change and technology-empowered readers are forcing the hands of owners, no matter their politics. And if the Kochs want to maintain their readership and not lose the Times’ most talented journalists, they’ll have to accommodate themselves to Los Angeles. This has been the dynamic in San Diego, where “Papa” Doug Manchester, the new conservative owner of the Union-Tribune, has run some strange editorials but otherwise publishes much the same paper as his predecessors. The Kochs likely would push a libertarian line on the editorial page, and maybe in the political news coverage, but that would be a healthy check on the labor-left establishment that runs the city and the state—and also a gift to that establishment, furnishing it with an enemy against which to rally. The second outcome would be that the Kochs followed their worst instincts and foolishly imposed their party line on the paper, thus losing readers and journalists. In that case, they would have given Los Angeles and its most ambitious journalists a huge opening to do what the city long ago should have done (yet, appallingly, never has): create its own media, grounded in L.A., that doesn’t depend on nutty rich people or out-of-town corporations. Some California communities are already doing this. In Santa Barbara, as Wendy McCaw effectively destroyed her paper, the News-Press, the weekly Independent stepped up its game, and locals founded the Santa Barbara Noozhawk, one of the most innovative papers in California. I, for one, can hardly wait for Jerry Brown to uphold California tradition—and say something similar about the Kochs. *Photo courtesy of P Donovan.